The Council on American-Islamic Relations (CAIR) has been connected to the terrorist organization Hamas, a federal judge said in a July 2009 ruling unsealed last week. "The government has produced ample evidence to establish the associations of CAIR, ISNA, NAIT, with NAIT, the Islamic Association for Palestine, and with Hamas," U.S. District Court Judge Jorge Solis said in the July 1, 2009, ruling. CAIR, the Islamic Society of North America (ISNA) and the North American Islamic Trust (NAIT) had protested to Solis that they were incorrectly named as unindicted co-conspirators in the 2008 trial of the Holy Land Foundation for Relief and Development. Among the allegations, HLF was accused of having provided more than $12 million to Hamas. After a 2007 mistrial, five former HLF officials convicted on 108 counts, ranging from money laundering to conspiring to provide material support to terrorists. Following the trial, CAIR, ISNA, and NAIT have argued that their inclusion on the list injured their standing in the community, and their image. They wanted their ties to Hamas removed from the trial records and the list sealed. Solis agreed the list should not have been made public, saying that doing so violated the Fifth Amendment rights of the listed individuals and organizations. Criticizing the decision to publish the list, the judge explained that CAIR has been subjected to "annoyance, ridicule, scorn, and a loss of reputation in the community." (see the IPTs earlier coverage of the decision to publish the list here). However, Solis refused to remove references to CAIR and the other groups from the trial record. That's because the government introduced extensive evidence tying CAIR to Hamas. "The public," he wrote, "may make its own judgment from evidence presented at trial." Solis filed his July 2009 ruling under seal, and until recently, it was unclear what information was actually contained in the order. NAIT attempted to have Solis' ruling revised, asking the Fifth Circuit Court of Appeals to unseal the order and strike any references that tied the organization to Hamas. "The District Court's analysis, NAIT argues, essentially tars it with the same brush of guilt by association that the government used in its pre-trial brief," explained the appellate court. The court agreed to unseal the lower court ruling, but refused to strike Judge Solis' explanation that the groups were tied to Hamas. While Solis' ruling may provide new ammunition for the groups to claim their rights were violated when they were publicly named as unindicted co-conspirators, they also have to explain why a federal judge determined the government had "ample evidence" tying the groups to a designated terrorist organization. "CAIR's status as a co-conspirator is a matter of public record," Solis explained. Examining the trial proceedings, he recounted the numerous ties between ISNA, NAIT, and CAIR. 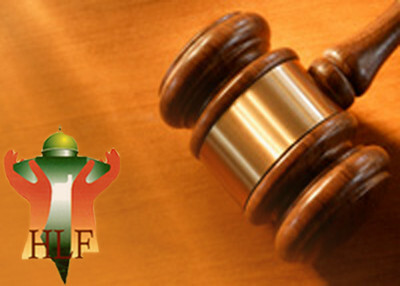 During the trial, the government introduced documents detailing the Muslim Brotherhood's beginnings in the United States. Amongst those was the May 22, 1991, "Explanatory Memorandum on the General Strategic Goal for the Group in North America," authored by Mohamed Akram. The memorandum includes a section titled "Understanding the role of the Muslim Brother in North America" which states that the work of the Ikhwan in the United States is a "kind of grand jihad in eliminating and destroying the Western civilization from within and sabotaging its miserable house by their hands and the hands of the believers so that it is eliminated and God's religion is made victorious over all religions." Also contained in the document was a list of the Muslim Brotherhood's "organizations and the organizations of our friends," which includes ISNA, NAIT, the Occupied Land Fund (HLFs former name, and others. In another exhibit, titled "Preliminary vision for preparing future leadership," dated Dec. 18, 1998, ISNA is listed as an "apparatus" of the Brotherhood. When the Holy Land Foundation first began, it raised money and supported Hamas through a bank account it held with ISNA and NAIT. ISNA checks deposited into the account were often payable to "the Palestinian Mujahiden." The Investigative Project on Terrorism has long chronicled the financial ties between ISNA/NAIT and Hamas, including coverage of the trial against HLF. Exhibits entered during the trial included an expense voucher from NAIT, an ISNA subsidiary, made out for $10,000 in the name of Musa Abu Marzook, as well as a check drawn on a NAIT account in the same amount made out to Marzook. Another check for $10,000 on the same account was made out to Marzook's wife, Nadia Elashi. Another check for $30,000 was made out to the Islamic University of Gaza (and has Shukri Abu Baker/OLF written on the memo line), a school long known to be controlled by HAMAS, and which counted such notables as former Hamas leader Dr. Abdel Aziz Rantissi and current Hamas leader Dr. Mahmoud Al-Zahar as professors, and the recently deposed Hamas Prime Minister Ismail Haniyeh is a former dean of the University. In addition to the financial connections, the trial also revealed cooperation between the organizations and their respective leadership. During the trial, the government introduced documents relating to the creation of the "Palestine Committee," which was established to support Hamas. The Committee was run by Hamas leader Mousa Abu Marzook, and included representatives from the Islamic Association of Palestine, the Holy Land Foundation, and CAIR, represented by founder Omar Ahmad. Ahmad also attended the 1993 Philadelphia conference, where leaders of the organizations under the Muslim Brotherhood umbrella met to discuss the future of the Brotherhood in the United States. The Philadelphia conference was attended by several members of the Palestine Committee, which supported and collected money for Hamas. At the conference, attendees discussed how to proceed in light of the recently negotiated Oslo Accords between Israel and the Palestinians. Hamas opposed the accords because it called for the recognition of the state of Israel. The attendees discussed how they would have to be careful in their opposition to the Oslo Accords because they did not want to be viewed as being against the peace process or as aligned with terrorist groups. As Special Agent Lara Burns testified during the trial, President HLF President Shukri Abu Baker explained that the new entity should present a benign face compared to existing Islamist groups: "And let's not hoist a large Islamic flag, and let's not be barbaric-talking. We will remain a front so that if the thing happens, we will benefit from the new happenings instead of having all of our organizations classified and exposed." We should change our immigration policies so that immigrants are not citizens for two generations and are on probation during that time. Immigrants should show a liking for pluralism and secular democracy. If they show an aversion for i, THEY SHOULD BE DEPORTED. This would include most CAIR activists. Most Hindus, Buddhists, Jains, Christians, and many Balkan and Indian Muslims integrate well. Many other Muslims don't. The US should be a refuge for religious minorities and human-rights activists persecuted in the majority-muslim world. In MENA and SW Asia we should be more open to partition for different ethnic and confessional groups, especially the Kurds. We should give the Kurds EVERYTHING THEY ASK FOR in terms of weapons and financial support. Turkey should be pressured to stop bombing the Kurds and accept a Kurdish enclave in Syria. Turkey is not our friend; the Kurds are our friends and friends of democracy. We are not a cowardly nation. This is not a time to be passive or fearful. The ideology of Islam has a proven record of persecution of others not of the 'faith'. They are welcomed here to worship, but the moment their mosque or 'cultural center' is found out to be supported by radical terrorist organizations they need to be shut down and everyone associated with it deported immediately. This should be true of any religion of the land of the free and the home of the brave. The free and the brave are not going to stand by in idle silence to these attacks. our government should deport all members od cair now that our federal judge declaired them involved with the group of jihodist.